The Imperial Fine Accommodation provides a secluded luxury heritage retreat for business professionals and the holiday traveller alike. A place to unwind, relax and enjoy the beautiful peaceful surroundings. The Imperial boasts six luxury en suite guest bedrooms and a 2 or 3 bedroom apartment a modern fully stocked guest kitchen, guest lounge, full size billiard table in the old ‘front bar’ and a walled courtyard with solar heated salt water pool. If you would like heritage accommodation that provides all the comforts of home, where you can sit quietly in the guest lounge, play chess or billiards, refresh in the 14m pool, relax in the court yard listening to the fall of water from the fountain, sit in the shade of the apricot tree with the perfume of roses beside you and the industry of The Imperial’s chickens behind you, The Imperial is for you. The Imperial also has a 2 or 3 bedroom serviced apartment. 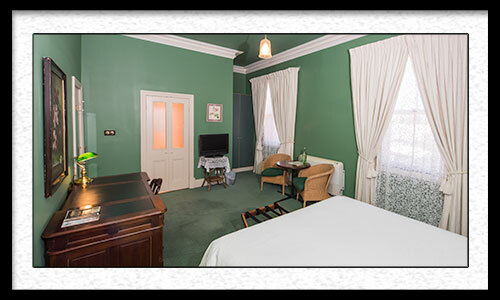 The apartment is ideal for longer stays, short term work relocation or for longer stays. It is also perfect if you are travelling in groups or as a family. The apartment has all the luxury and facilities of the en suite rooms with the addition of a kitchenette, lounge room and dining area. For longer stays the apartment can be provided on a self contained basis at a reduced rate (ask for details). Bill and Cathy are your hosts in this unique accommodation experience – an oasis in the Outback. Please feel free to contact us for any information on our rates, packages or to make an enquiry. The Imperial’s attention to detail in all things is evident in its magnificent rooms and facilities. The high standard of the renovation of this landmark building occurred in consultation with a heritage advisor and expert builders, keeping in mind the needs of the modern traveler. 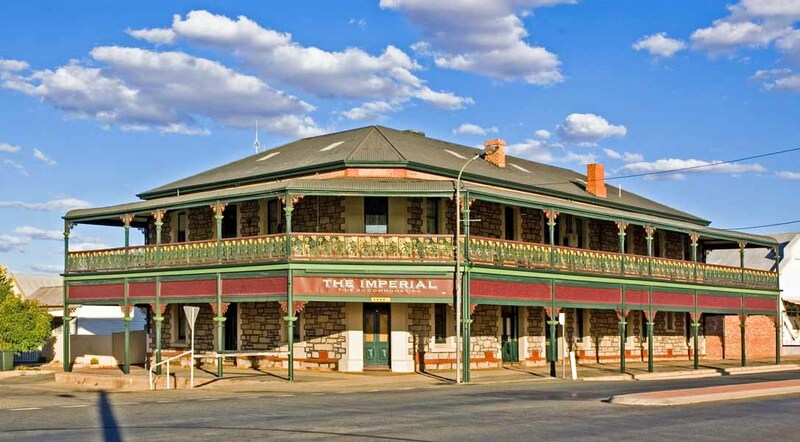 The Imperial Fine Accommodation is a beautifully restored heritage building circa 1906, in Broken Hill, now transformed into an elegant 4½ star (AAA rated) guest house where modern facilities sit happily alongside the gentle spirit of an Australia long past. 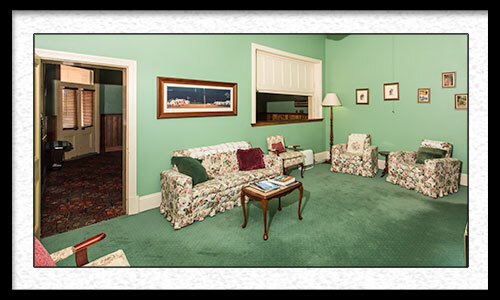 With six luxury en suite rooms and a 2 or 3 bedroom self contained apartment, a modern fully stocked guest kitchen, guest lounge, full size billiard table in the old ‘front bar’ and a walled courtyard with solar heated salt water pool, The Imperial is your home away from home while in Broken Hill. 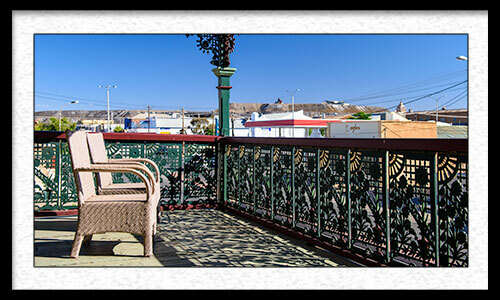 Welcome to Broken Hill and the inspirational outback! 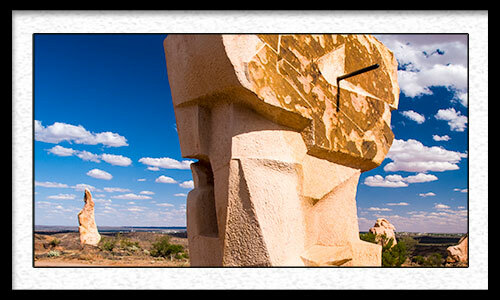 Broken Hill is located on the Barrier Ranges in the far west of NSW, just 48 km from the South Australian border. ”The Silver City” has always been associated with silver, lead and zinc mining. Many of the streets are named after metals, minerals and compounds. Film-makers and artists have been drawn to the vibrant earthy colours and magical light of the Broken Hill landscape for decades and it’s waiting here for you too.